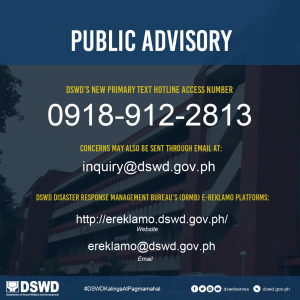 The Department of Social Welfare and Development (DSWD) announced today that it will change its service provider for its secondary hotline access numbers. As such, the DSWD’s text hotlines, which include the 11-digit access number 0917-890-2327 and short-digit access numbers 3456 and 2327, will no longer be active. All messages that will be sent to these numbers will no longer be received by the Department’s short text messaging (SMS)-based information systems, such as the Pantawid Pamilyang Pilipino Program (4Ps) grievance system and its system of reporting disaster assistance-related concerns. 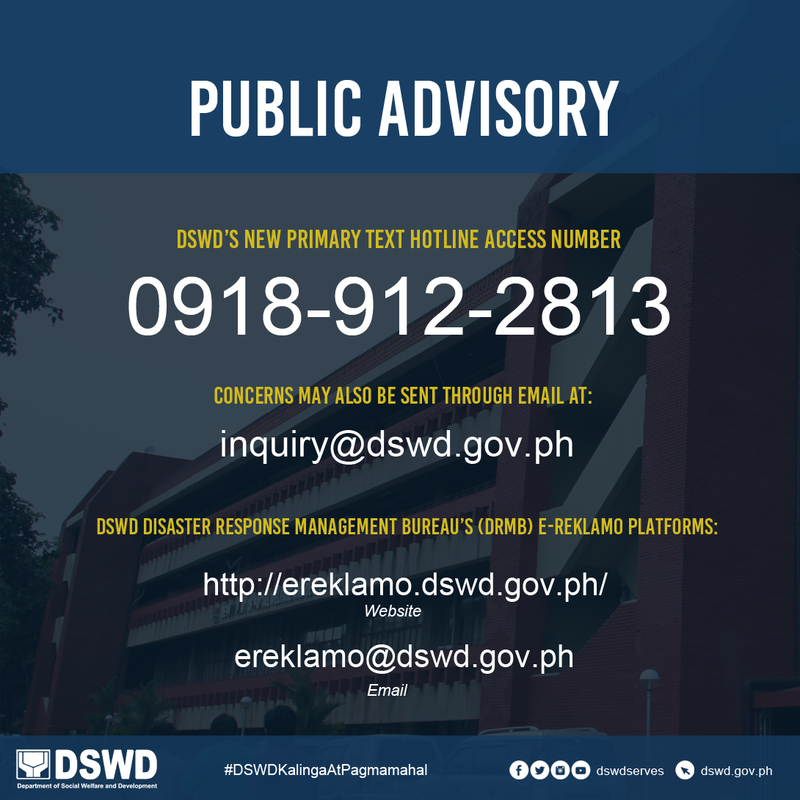 In the meantime, the public may send their concerns to the DSWD through its primary text hotline access number, 0918-912-2813 or through email address inquiry@dswd.gov.ph. http://ereklamo.dswd.gov.ph/website wherein each complaint is assigned a unique ticket number that can be used to track the progress and responses online. A valid email address is required to use this system.